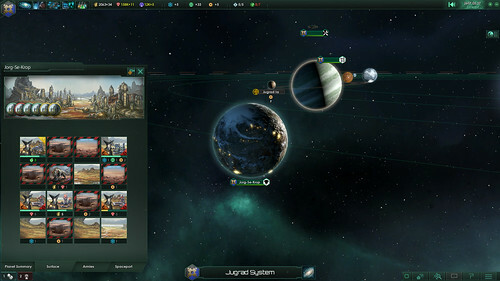 Stellaris is the new science fiction strategy game from Paradox Development Studio, the creators of Crusader Kings, Europa Universalis and Hearts of Iron. This will be the first strategy game from PDS that is rooted not in the past, but the future, as you guide a species of your design to power and glory in the depths of space. With randomly created opponents and procedurally generated star systems, no two games can even play out the same way.